PrizeRebel.com is a business that’s dedicated to providing the opportunity to complete paid online surveys. So far, so straight forward, after all lots of these sites exist, giving consumers a welcome choice of which rewards site to use. From the first time I clicked onto its home page, however, it already struck me as being a little different to what I usually see. It has a simple and yet stylish landing page that caught my eye, and that also provided welcome reassurance that this site wasn’t a scam. When it comes to survey and reward websites, I’ve found that first impressions really count. After all, if the company can’t pay to have a professional looking site, or can’t be bothered to create one, then how can they afford to create the rewards that they promise to eager consumers who are waiting to sign up? Whether or not it lived up to this initial promise is something that I will reveal as we head deeper into this review. There was something else that grabbed my attention on the home page of Prize Rebel, and once again it was for all the right reasons. Down at the bottom it says that: “PrizeRebel.com is the #1 place for online paid surveys… Since 2007, we have been the premier online market research surveys website.” It then goes in to claim that it has paid out $9 million in cash since 2007, and then reveals how much has been paid out in cash within the last 24 hour period. That’s a feature I’ve not seen on any other rewards site, but they really should look at following Prize Rebel’s lead, because do you know what it does? It breeds confidence, it makes a person want to sign up and get stuck into a survey or two right away. • Consumers sign up to the site, complete the surveys that grab their interest, and the more surveys they complete the more cash they earn. • Businesses, on the opposite side of the coin, also benefit, because they get to hear what consumers really think about their products and services, or even more pertinently about their potential products and services. This means that in future that can create products that really meet consumer products. That means that when you fill in surveys you can not only earn a little extra spending money for yourself, you can also help to shape the really useful products of tomorrow. What’s not to like? We’ve all dreamed of being able to earn a better income from the comfort and familiarity of our own home, rather than being stuck in a humid office, or working in some humdrum job that stops us doing what we really want to do. For many people working from home is a dream, and survey sites can seem to be one of the keys to making that dream come true. That’s where I will always advise people to temper their expectations a little. Yes, survey and reward platforms like Prize Rebel, Toluna, and others, can bring in some extra income, and extra income is always welcome isn’t it? Don’t expect to become a millionaire however, or earn enough to buy that new pair of Jimmy Choos that you’ve been looking out. But what about that nine million dollars, I hear you shout at the screen? That’s across all customers and all time, so let’s have a closer look at how Prize Rebel works and what it offers. • Sign Up: you can sign up via Facebook. That’s a neat touch, as let’s face it we all have a Facebook account. If you’re worried about the company trawling your Facebook account to get more information about you, well, that’s the whole point of survey completion anyway, from the point of view of the business. 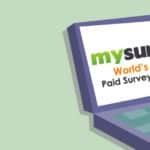 • Complete Cash Surveys: there really are lots of surveys to choose from, and it’s always nice to see variety on a site like this. These surveys are provided by a host of different marketing companies, including RadiumOne, AdGate, Ascend, and OfferToro, but as we’ll see there are other ways to earn rewards too. • Get Paid. Simple: unlike some other sites, you don’t automatically earn cents and then dollars for each survey completed, instead you earn points which can then be swapped for gift cards, cash, and more. So far, so good, and once you do sign in (by the way, there is an option to register a site specific account if you don’t want to hand over your Facebook details) you are taken to a very attractive, if a little less simple site. You’ll also be hit in the face by a plethora of deals and special offers for new account offers. Don’t be overwhelmed, take your time and find the deal, or deals, that is right for you. After all, you’re only going to get the opportunity to take advantage of these offers once. These deals can vary from energy saving offers, to debt relief advice, so there may be something that suits you, there may not. How Easy Is It To Use Prize Rebel? Using a survey site like Prize Rebel or SendEarnings should be easy right? Well let me tell you, it’s not always as easy as that. With this website, however, I have to say that it was straight forward to use, with one exception – and I’ll come to that in a moment. The answer to that last question, by the way, is that you earn extra points. In short you get points for absolutely nothing other than introducing a friend to the Prize Rebel fun. My advice here is refer, refer, refer, and you can have a referral link on your own website or Facebook page. Why not? It really is as simple as that. The offer walls will be the first port of call for most users, and it’s here where you can earn the points that equal prizes. It’s not all surveys, you can also earn points by referrals (as I said earlier of course), watching videos, and registering for other websites and offers. The offer is very simple as well: collect one hundred points and earn one dollar. What could be more easy to understand than that? It’s reassuringly attractive: Looks aren’t everything of course, but we all know that they count for a lot in this crazy world of ours. This website is very well laid out, bright, colorful and yet easy to navigate. That reassures me that it’s a legit professional service, and let’s people know that it’s certainly not a scam survey site. There’s a lot of choice: I’ve been on lots of competitor websites that severely limit the number of surveys available. That stops you earning rewards, and quickly leads to boredom. That didn’t happen with Prize Rebel. The surveys available are dependent upon the information you provide, but there always seemed to be a lot to go at, and then of course you can take a break and watch a video or two. You really can earn money: You won’t get rich from Prize Rebel but I was pleasantly surprised at how quickly I earned a dollar or two. One reason for this is that you get daily challenges, that taps into your inner competitive spirit and encourages you to earn those precious points. Getting your hands on the cash is easy: Once you’ve earned enough points, converting them into something useful is simplicity itself. You can choose to have gift cards (for everything from Amazon to Burger King) or if you have earned at least 500 points you can have the money (in that case five dollars) transferred directly into your PayPal account. It’s safe and secure. I’ve given you lots of pros there, but there was one downside that I found from using the Prize Rebel website. There seems to be little or no correlation between the difficulty of a task, and the amount of points and therefore cash you earn. I like to think that the more effort you put into completing a survey, or the longer it takes to watch a video, then the greater the number of points you’re going to earn. Prize Rebel, unfortunately, just isn’t like that. As a great philosopher once said, it’s like a box of chocolates – you never know what you’re going to get. You may have guessed that I was impressed by Prize Rebel, and it’s a survey site that I can hand on heart recommend without hesitation. As with all these sites you get out what you put in, so earning cash does take time, but if you’re just sat around at home why not kill a little time, fill in a survey or two, and get closer to your goal? Here’s another tip: have a dedicated email address solely for use with Prize Rebel. I’m not saying they spam you, but as you’d expect you’re going to receive emails from targeted suppliers. I didn’t find it overbearing though, and I’ve had more emails after signing up to some similar sights. I have to admit as well that it can be frustrating to fill in a survey only to find at the end that you’re not eligible for it. That’s a problem that’s shared with every survey website I’ve ever joined however (and of course there have been lots of those), and again I didn’t find that PrizeRebel.com was particularly bad from this aspect. It seems to me that Prize Rebel are proud of their site, and proud that they offer a legit way for consumers to earn themselves a little extra cash, which is why they have a prominent testimonials page. Look on Google and you won’t find genuine complaints about this company, so go on, be a rebel and complete your surveys in confidence. We also did comprehensive reviews on PineCone Research and Ebates, do check them out.